St Mary’s Orthodox Greek Church in Wood Green is a place with which we are very familiar as we have done christening photography and videography there many times. 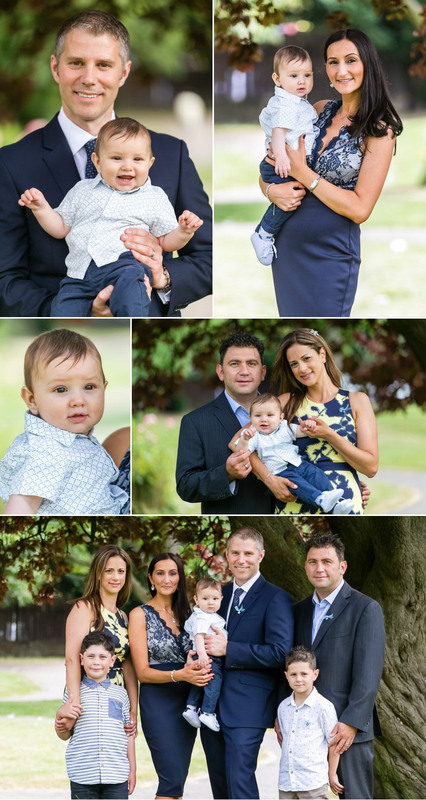 It is a lovely church with a warm, welcoming feeling and we were delighted to be asked to photograph the Greek Orthodox christening of Alexander Daniel. The Greek Orthodox church still practices many of the customs from the earliest churches founded by the apostles. The christening ceremony has changed little in two thousand years and is rich with symbolism and tradition. I know it would not matter whether I was a christening photographer in London, Greece or any Orthodox church in the world and I would recognise the service. It is a tangible link with the baby’s ancestors and descendants which I think is quite lovely. A christening in a Greek family is a big deal. They may not remember it, but it will be one of the biggest days in the child’s entire life and probably second only to their wedding! Alexander Daniel was happily oblivious to the effort his parents had put into making sure his special day was perfect, from the martyrika, or witness pins, to his outfit and all the other tiny details that go into creating a special occasion. Alexander Daniel’s sunny mood lasted while his parents greeted their family and friends, and I was able to get some lovely shots of him with his parents, grandparents and godmother, with his gorgeous smile revealing two tiny teeth that made the photos even sweeter. Unsurprisingly, his smile disappeared as he was immersed in the font and anointed with oil, but he soon cheered up when he was dressed and holding his favourite toy dinosaur! As I have photographed numerous christenings at this church, I knew where to stand to capture the critical moments such as the immersion and the pouring of the oil. If I am providing christening photography and videography at a church with which I am not familiar, I always get there in plenty of time to ensure I know where to stand. Alternatively, I visit on a different day at around the time the christening is so that I can see where the light naturally falls and know how best to position myself to capture the images the parents want to have. I took some more photos in the garden outside the church after the service before moving with Alexander Daniel’s family and friends to a nearby Greek restaurant for a delicious meal. The family made sure there was plenty to keep the younger guests occupied including fantastic under-the-ocean themed helium balloons, games and colouring books. All the excitement proved to be a little too much for the guest of honour, and he fell asleep in his father’s arms even before it was time to cut the cake. It is always a pleasure to provide orthodox baptism photography as christenings are such joyful family occasions. Congratulations to Alexander Daniel and thank you to his parents for inviting me to photograph his special day.